This make up bag describes everything needed to ensure a day is productive and successful. Coffee for caffeine-fuelled alertness, sarcasm to survive the day and make up to make you feel like the very best version of yourself. This cosmetics bag is an essential buy for any woman, and would make a fabulous birthday or Christmas gift. 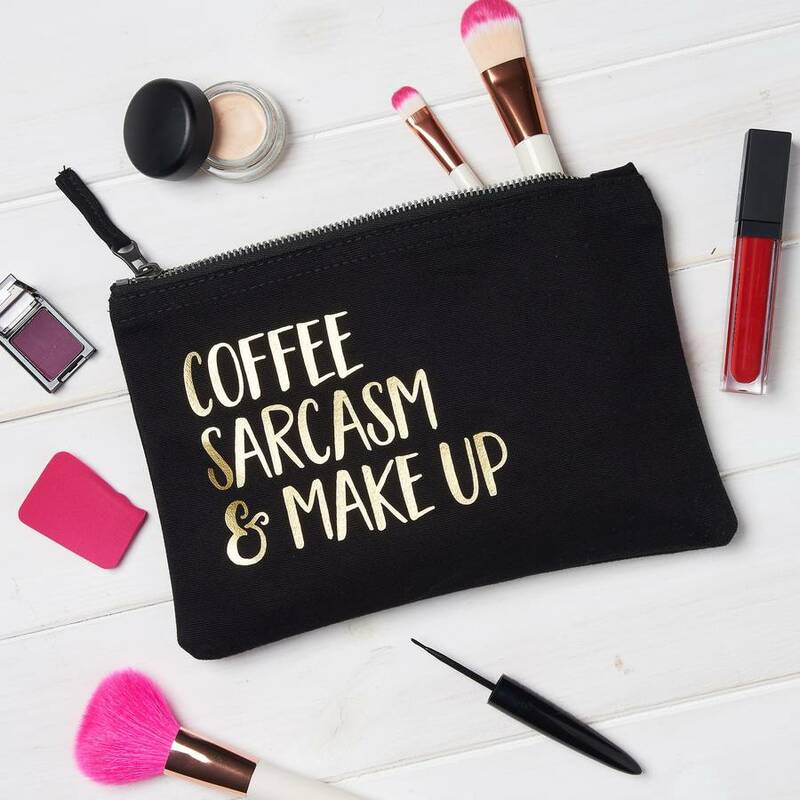 However, if coffee doesn't keep you going, and instead you run on Processco, sarcasm & make up, you can personalise the bag to suit your needs. Simply, personalise with your beverage of choice in the form and we will include the remaining message of sarcasm & make up to your order.